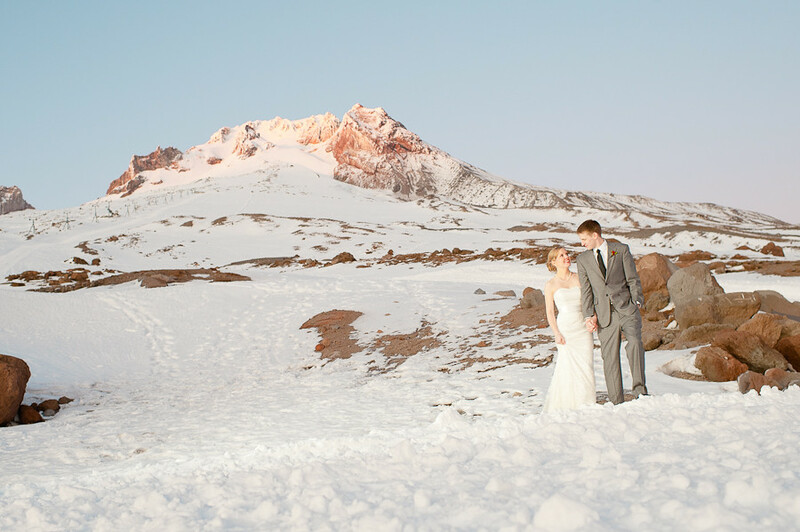 Hannah & Sam experienced the best combination of mountain weather for their wedding at Timberline Lodge. A major storm hit night before, leaving massive amounts of snow clinging to the lodge and the trees, but by morning the skies were sparkling blue. Not a bad start for this great couple! A clear December evening in a cozy cabin with the mountain to yourselves. 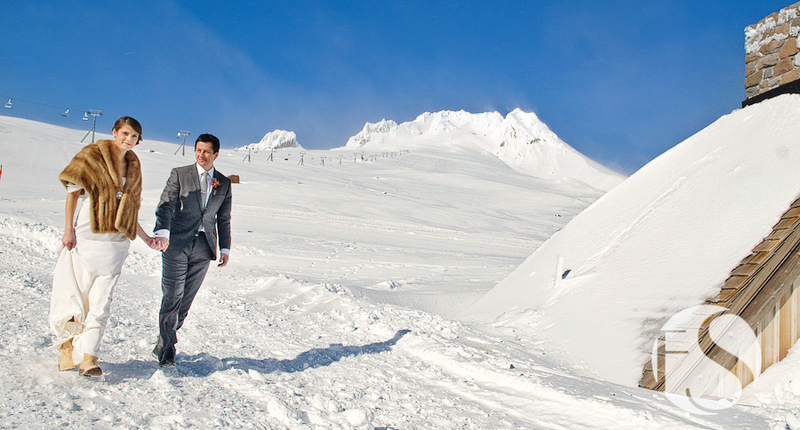 Winter weddings in the Northwest don’t get much better than this! Shot on Mt. 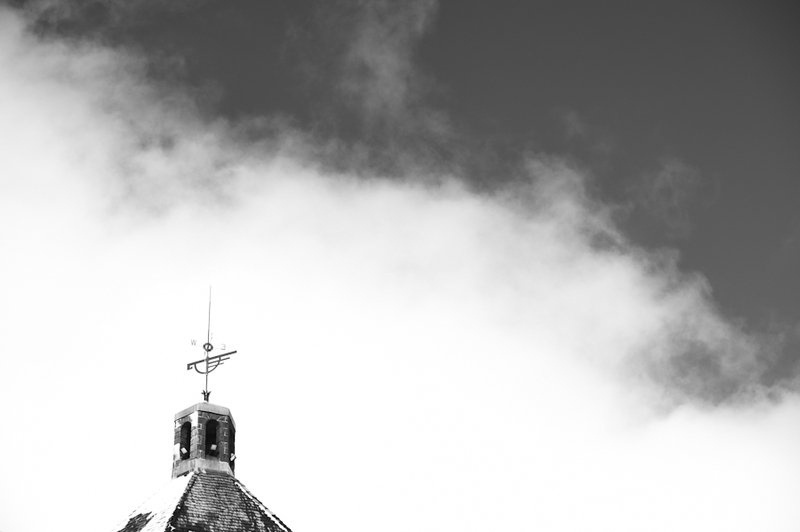 Hood at the Silcox Hut above Timberline Lodge. 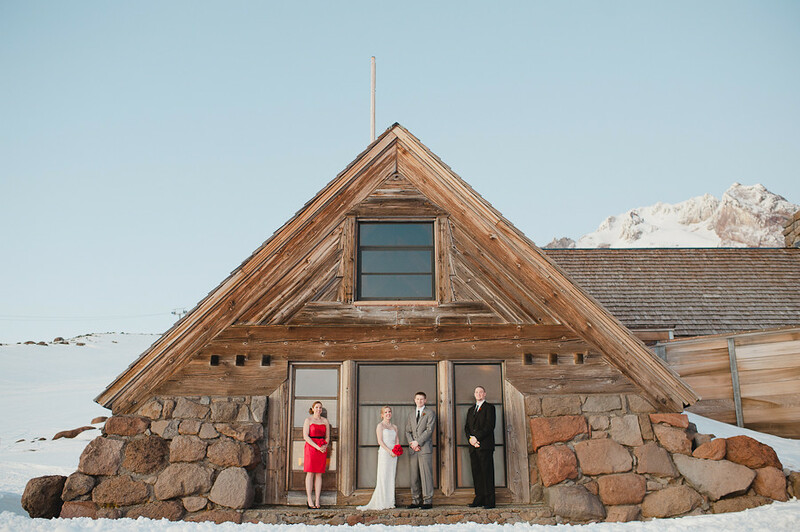 This was our final wedding of the winter at the Silcox Hut. Unbelievably, most of our shoots up at Silcox this year have had sun–a rarity on Mt. Hood in the winter! The weather was so nice on this day in March, we spent a lot of time outside with the couple & were even able to do family group shots outside with some lighting setup. Go Oregon! 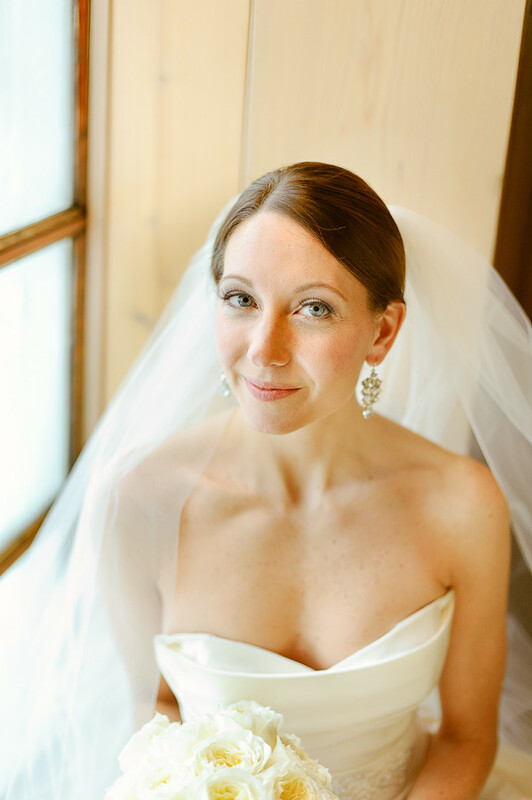 As Katie’s father shared during his toast, everyone was a bit surprised when this D.C. couple chose Timberline Lodge for their winter destination wedding. After playing in the snow on Mt. Hood and enjoying the unique Northwest vibe of the lodge, everyone seemed to agree it was the perfect choice. Their wedding day was the culmination of a week of great times with family & friends, and we were so happy to be there to capture it! 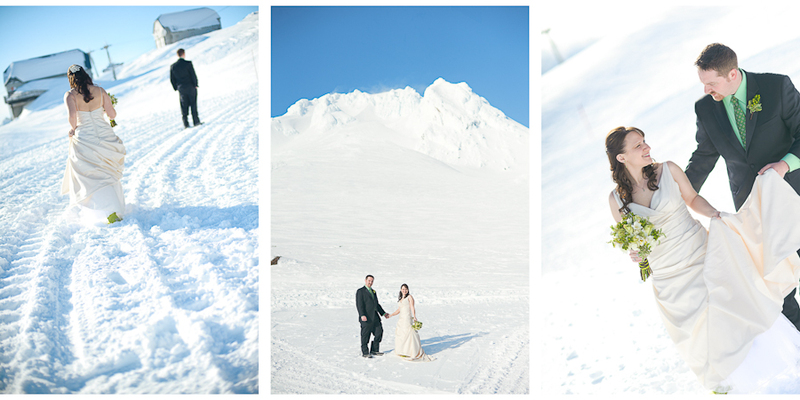 Talia & Pro were blessed with some of the most beautiful January weather in recent memory for their wedding day. 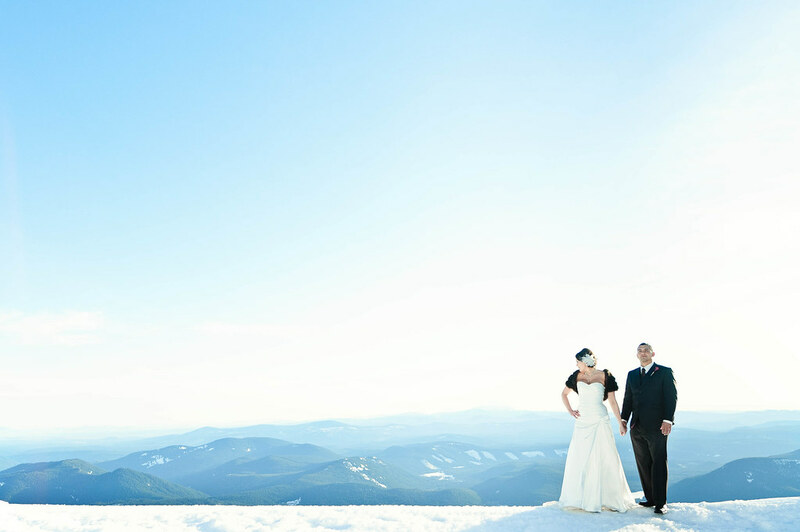 Weather won’t make or break your wedding day, but such gorgeous weather is especially appreciated when your wedding takes place at 7,000 ft. on the side of Mt. Hood in the middle of winter! With mild temperatures & windless blue skies we were able to spend a lot of time outside on the snowy slopes. 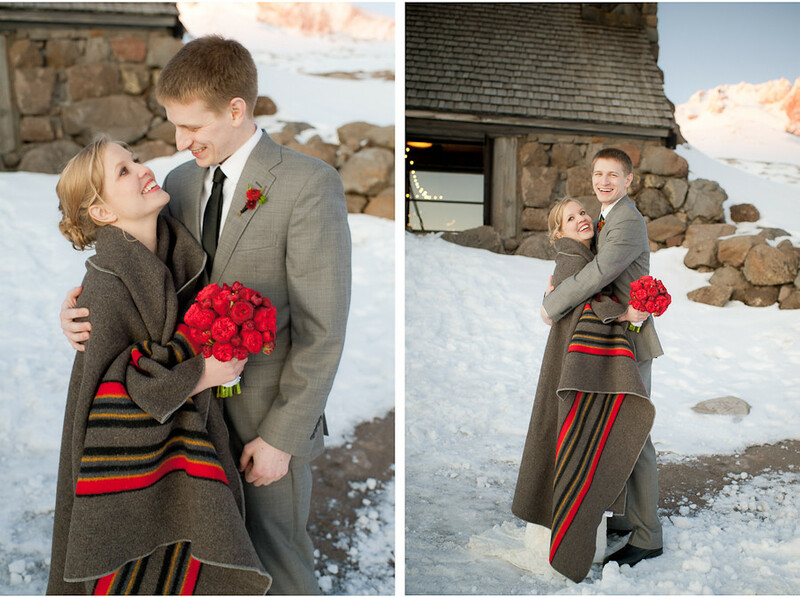 Once the sun set, everyone gathered in the Silcox Hut to celebrate this beautiful couple! 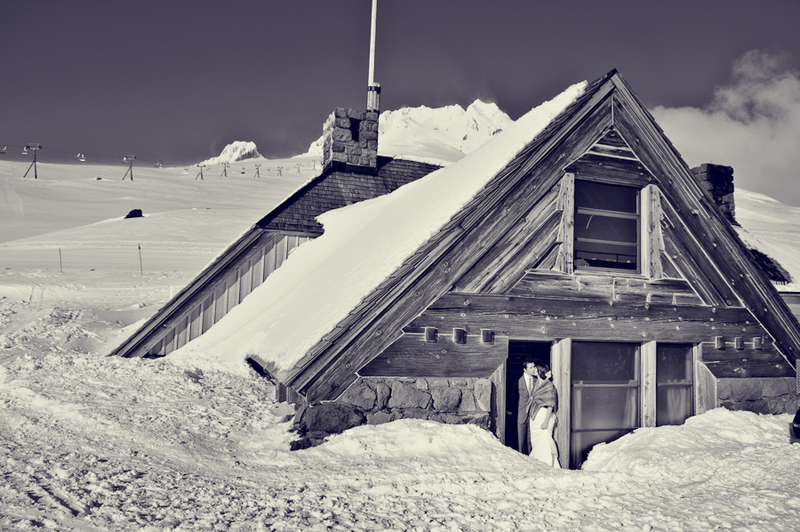 Over the past year, we have had the opportunity to shoot a number of weddings at the Silcox Hut on Mt. Hood. 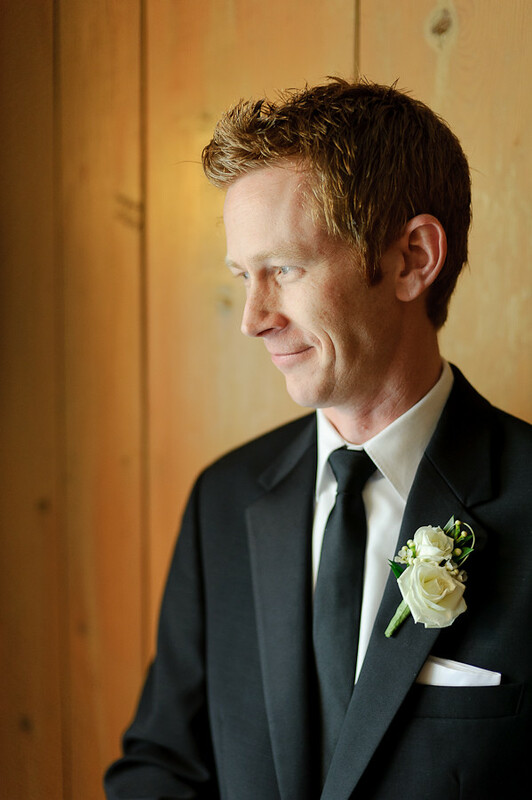 The uniqueness of this venue seems to be a magnet for fabulous weddings that share a similar recipe of wonderful people, intimate ceremonies, and charming, thoughtful details. 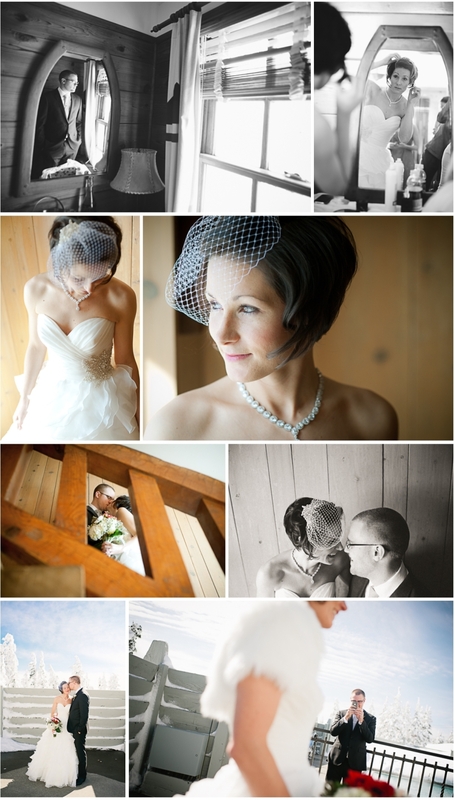 Molly & Tyler’s February wedding definitely fit the bill! 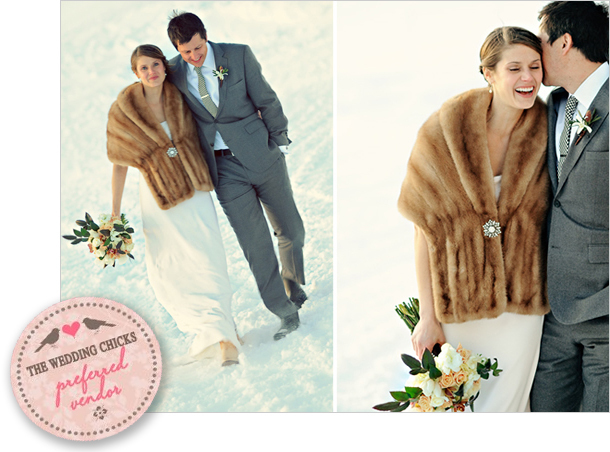 Some of their stand-out details included Molly wearing her grandmother’s fur wrap (which came in very handy for those outdoor photos! ), cowbells for the guests to ring for after their first-kiss (a nod to the bride’s ski-racing days), and delicious macaroons nestled in individual glass jars at each place setting. The intimacy of Silcox Hut is palpable, with everyone present feeling like an honored guest. It is hard to describe the feeling of a small group of family and friends gathered cozily together on the side of a mountain to celebrate a couple’s love and commitment to each other. We hope these photos capture a bit of that essence. Molly & Tyler explained it well when, making a toast to their guests at the evening’s end, they stated that everyone present was there for a reason and that they looked forward those continued relationships as they begin this new chapter in their lives together. 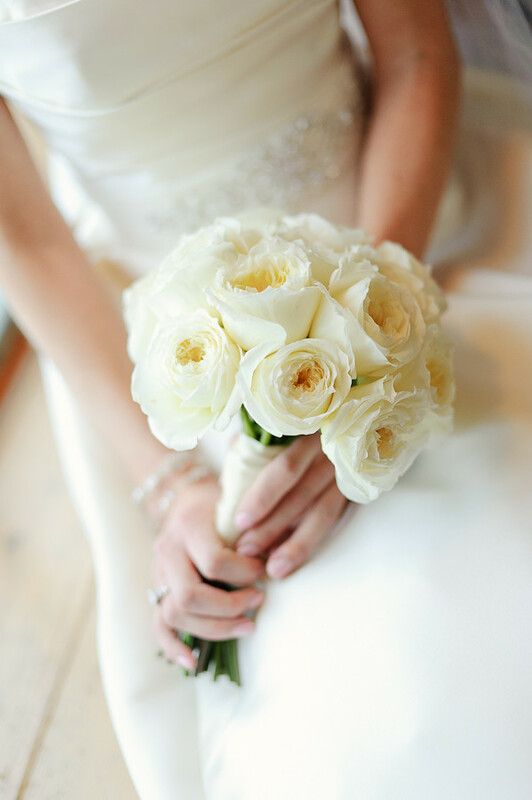 It is a sentiment shared at many weddings, yet feels particularly genuine in this spectacular setting. 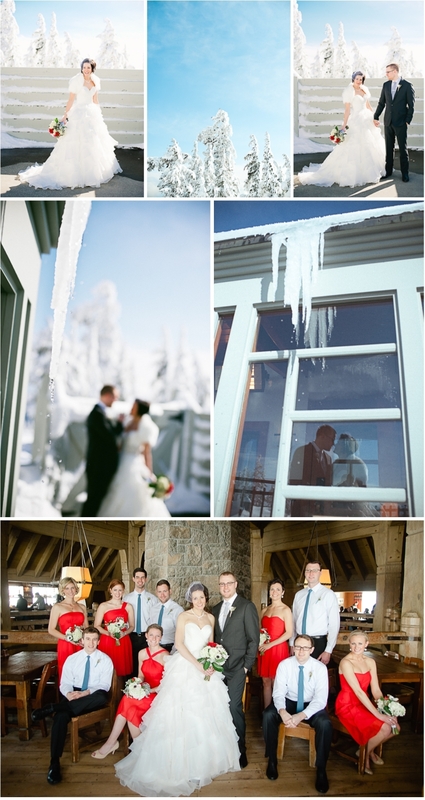 It is almost time to share another gorgeous winter wedding on Mt. Hood at the Silcox Hut! 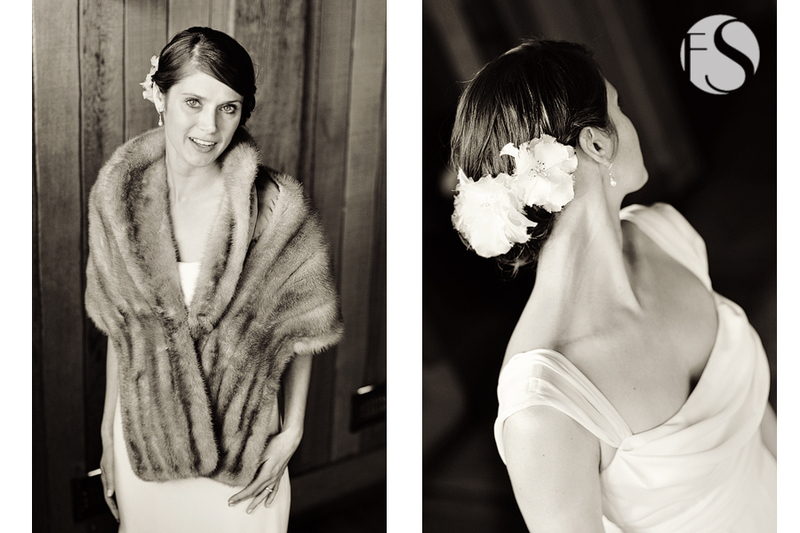 Here is a quick preview of a few of the many amazing aspects of Molly & Tyler’s celebration. It was a bit cold and windy (ok, it was really cold and windy–my fingers went numb quickly! ), but the sun was shining and we just had to get outside for a few photos. 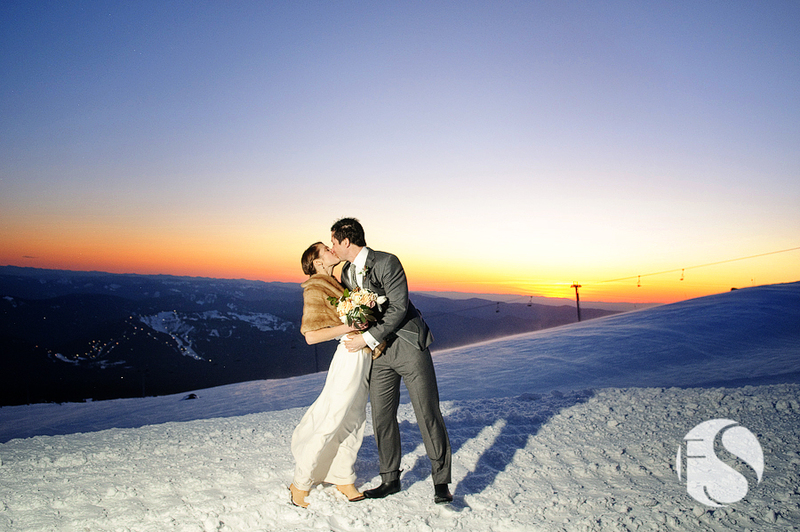 The ceremony ended just before sunset, as we rushed outside to capture an image with this beautiful couple on top of the world!